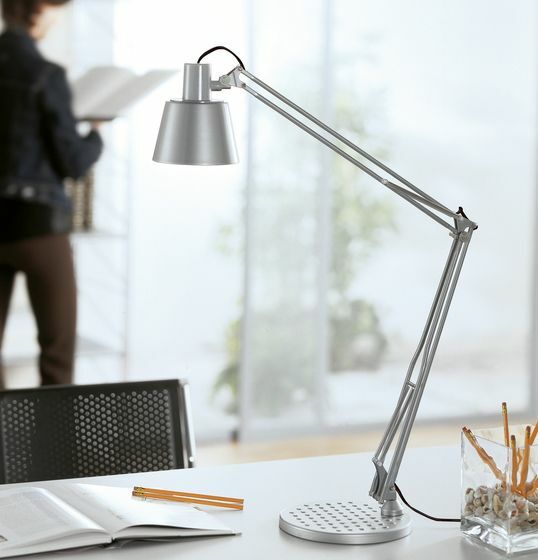 Technical desk lamp for incandescent bulbs 230V-60W or compact fluorescent bulbs max. 12W, max. length of the bulbs including base 110 mm. Reflector in painted steel and high-tech polymer, arm in painted steel with steel springs and adjustable joints in chrome-plated metal. Supplied with chrome-plated steel clamp to fasten it to the table top.